We have been very busy these past few months here at Claiborne and Churchill! With summer officially rolling in these next two days, here is a recap highlighting a few of our awesome partnerships in the community over these past few months. Back in March, we teamed up with Phyllis Musical Revue for the Diamonds and Pearls fashion show and donated wine benefiting the Woman’s Shelter. April called for sloppy kisses and wagging tails for our “Wine for Paws Weekend” benefiting the Woods Humane Society. The Woods Humane Society has tons of events throughout the year with different fundraisers and adoption opportunities. They even feature cat yoga! Check out their event calendar for more details and dates. 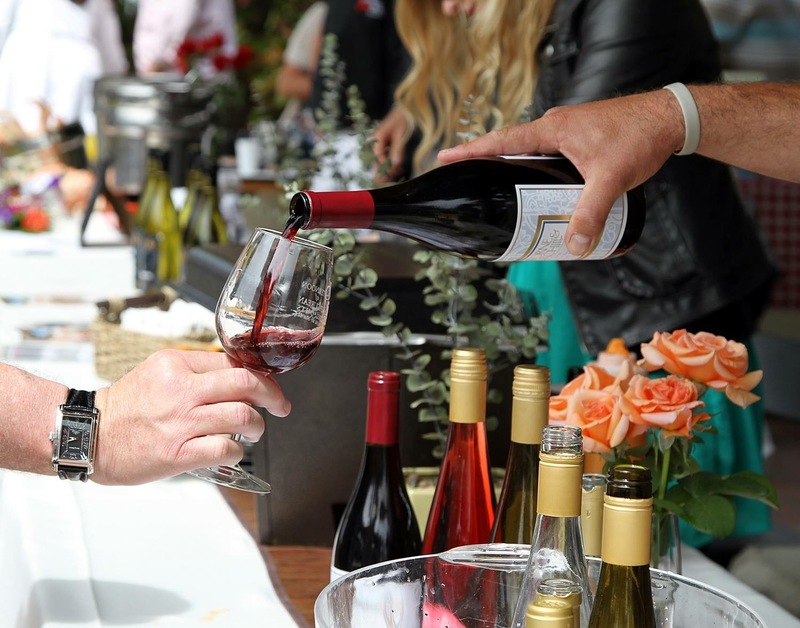 At the beginning of June, we poured and donated wine for the Annual Afternoon of Epicurean Delights event with local social service organization, CAPSLO. This year was the 30th anniversary of hosting this event at Pismo Beach! 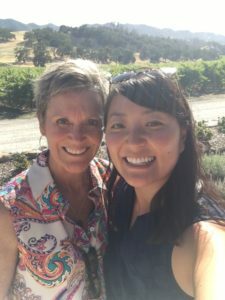 In mid June, our very own Elizabeth Thompson teamed up with local restaurant Luna Red and poured at The Big Event hosted by the Big Brothers and Big Sisters nonprofit of San Luis Obispo County. Coming up on July 26th 2017, we will be partnering with Big Sky Café and pouring wine at the Benefit Dinner in the Plaza for the Festival Mozaic, a classical music festival held in downtown San Luis Obispo. The festival will begin July 19th through the 26th featuring an assortment of classical musicians, delicious food, and a wide variety of wines. The complete calendar can be found here. We love being able to help out and extend our appreciation in the community. Our family here at Claiborne and Churchill has loved donating, pouring, and getting to meet the individuals who dedicate their time and energy into each of these different non profits and shelters. We are so excited to keep exploring more opportunities in San Luis Obispo and beyond! For more information about current events and updates please visit our Facebook page and follow our Instagram. Yes! 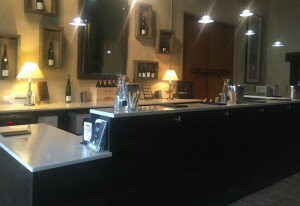 The term Wine Library refers to a winery’s supply of bottles from earlier vintages that are properly cellared and are no longer available for purchase. 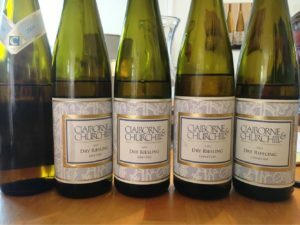 At Claiborne and Churchill, we like to reserve a few cases of our various whites and reds from older vintages, saving them for special events. Bringing out library wines allows our customers to experience the difference between a young and a mature wine. Sampling library wines also gives some of our club members a chance to taste what might still be in their cellar at home, and decide if it’s time to drink or continue to let the flavors develop in bottle. So, guess what? We have a selection of Library Wines waiting to be tasted! On May 5-7, 2017, we will be pouring our precious “wines from times past” each day with a different theme to each day of the weekend. Winemaker Coby Parker-Garcia is particularly excited about the 2007 Runestone Pinot noir. Coby emphasized that the 2007 vintage was a stand out year and that “a vintage like that comes around once in 20 years.” On the day that Coby and assistant winemaker Zack Geer were tasting all of the different Runestone Pinot Noir vintages, some of us were fortunate enough to take home the 2008 Runestone. Trust me, you do not want to miss out trying these incredibly smooth, delicately aged Pinot Noirs, along with the older Riesling vintages that are showing beautifully. For more information about the events for this weekend check out our website here or read below. Click here to buy some tickets and experience some brilliantly aged wines for yourself! Join us on Friday, May 5th, for the ultimate food & wine dining experience! Enjoy five gourmet courses prepared by renowned chef Brian Collins of Ember Restaurant. This elegant dinner will be hosted by our owners Clay and Fredericka Thompson and winemaker Coby Parker-Garcia in our barrel room. Each course will be paired with some of the best library wines from our collection. Experience a tasting showcasing the best vintages of our library wines. You’ll have the opportunity to taste and purchase from among two dozen white and red wines which have been carefully cellared for several years. “Wine down” on Sunday in our garden patio with a flight of library wines and a gourmet cheese plate by Fromagerie Sophie. Each cheese has been specially selected to pair with these stellar wines. Last week the staff at Claiborne & Churchill came together for a fun evening. Clay & Fredericka hosted a Dinner on the Deck at their home. This evening under the stars was filled with some great wine, great food, and great company. We all enjoyed the opportunity to spend time together outside the winery. 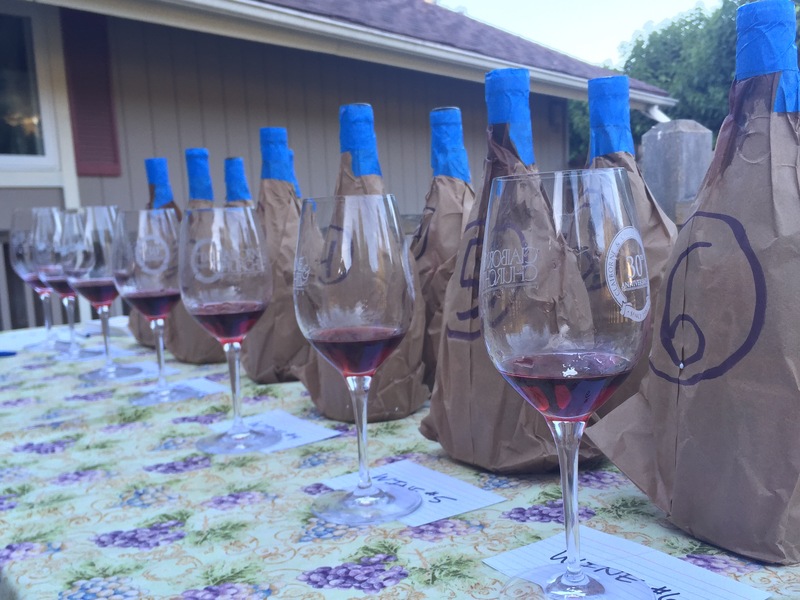 This event was dedicated to one of our favorite varietals, Pinot Noir. Coby, our winemaker, led a tasting challenge. Similar to a party example in our last blog post, we had to match the bottle of wine to the wine region provided. The regions to pick from were: Oregon, Santa Barbara, New Zealand, Burgundy, Sonoma, and San Luis. We had a great time and were truly stumped at some of the pairings. This wine is a mix of two different vineyards in New Zealand. Harvest was in March of 2014 after what they call a “textbook summer.” It spends 11 months in French oak with 796 cases produced. The winery produced two cuvees that will be merged to form a blend the January before it is bottled. The fruit for this wine is from Santa Maria and uses two clones: Pommard & Martini. It was harvested in August of 2014 and it spent 11 months in French oak barrels. It was bottled nearly a year later and 164 cases were made. This wine was made of six different clones from five different vineyards, which are all Russian River vineyards. Then, it spent fourteen months in barrel with about 30% of that being new French oak. This ‘Select’ wine includes fruit from all of this winery’s Pinot Noir clones and blocks. After spending 15 months in neutral French oak, this wine was bottled in February 2015. They produced 535 cases of this barrel select wine. The Estate Twin Creeks fruit included three clones: #113, 2A, and Martini from the Edna Valley. After harvesting September and early October 2014, it aged for 10 months in 35% New French Oak. This 29 barrel blend then was bottled in August 2015 making 787 cases. All of the staff had a great time trying to match up these delicious Pinots with the region they originated from. After this tough test, we enjoyed a number of other great Pinots with dinner. Pinot Noir has had a home at Claiborne & Churchill for decades and we loved getting to see how other regions are utilizing this amazing grape. Host a Wine Themed Party! Looking to do some entertaining this summer? 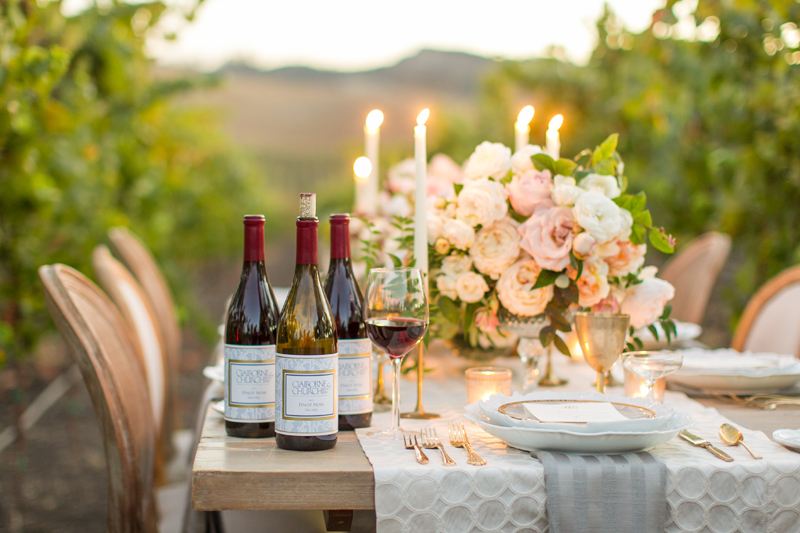 We have all the details on how to host the perfect wine party! This is sure to be a fun night trying out a variety of red, white, and dessert wines. Start off the night by making sure everyone knows the right way to taste! To get the best sample, make sure to swirl, sniff, sip, swish, and swallow or spit. Then get to tasting! We suggest having two white, a rosé, three reds, and a dessert option. Even consider taking your party to the next level with printed wine tasting card from Club W here to track your tastings! Compare your favorites to your friends’ picks! Enjoy your top picks with some food to celebrate the rest of the evening. 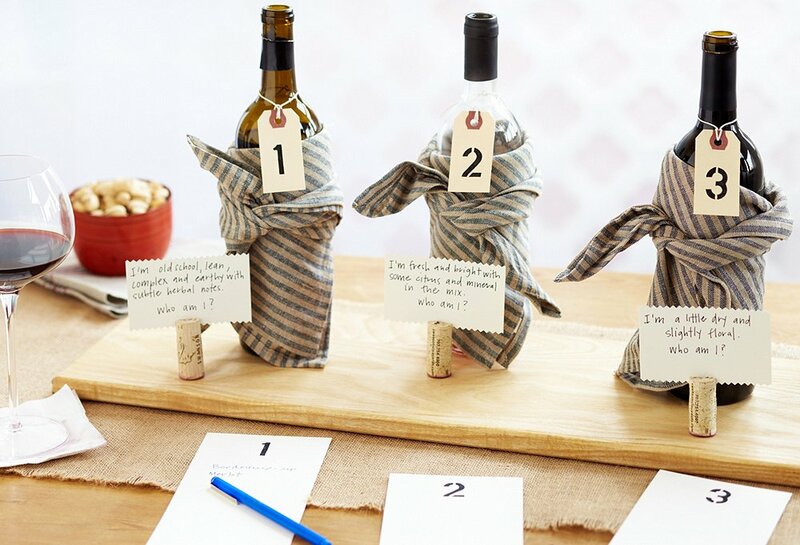 Put your wine tasting knowledge to the test against your guests! See who is the wine expert of your party! Pick a few varietals to highlight that are either all red or all white. Or, have two rounds: the white, then the red! Cover the bottle and give them a number to keep them straight. Then print out descriptions about the wines to help them guess the varietal. Don’t forget to find the corks so no one can cheat! Can your guests watch the wines up correctly? Maybe get come little gifts for the winners! You can find so many things to pair with wine! Get your friends together to try some of them out. 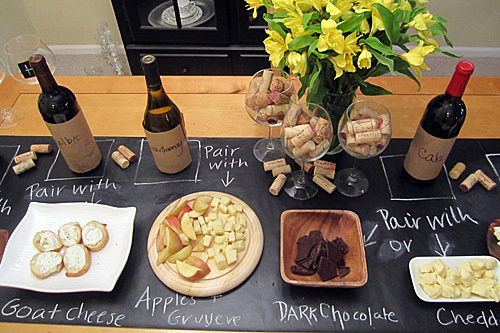 Using a paper tablecloth makes it easy to label all the food and show what wine it should be paired with. It may be hard to figure out what pairings to use with all of the options, but our favorite is pairing the wine with cheeses, meats, and other easy finger foods! This doesn’t take much prep leaving you plenty of time to spend with your guests. For dinner, you could also have a casual evening with a wine and pizza pairing! What about dessert? There are plenty of options for that as well. End the night by pairing wine with some sweet treats like, candy or chocolate! Art bars have become increasingly popular in the last few years. Guests are able to spend time together with a glass of wine while they follow the instructor to make their own work of art. 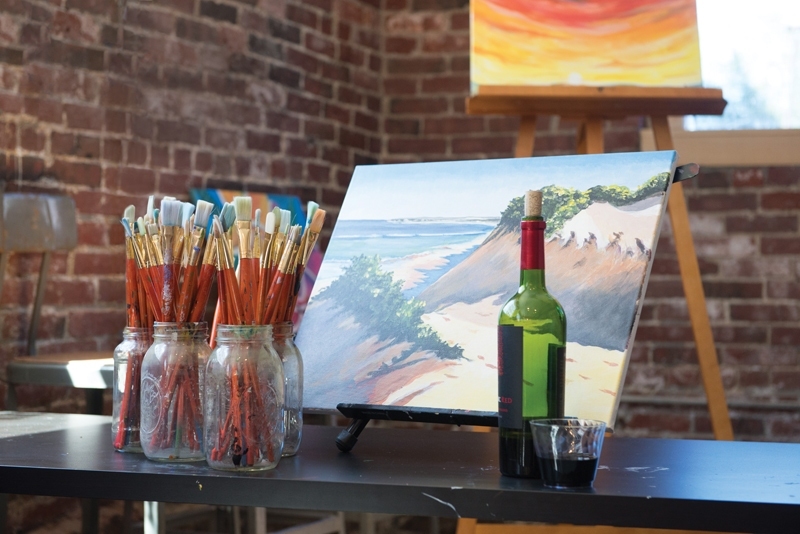 Why not have your own art bar for a night? Get creative! Invite your friends over for a night of wine, art and fun. 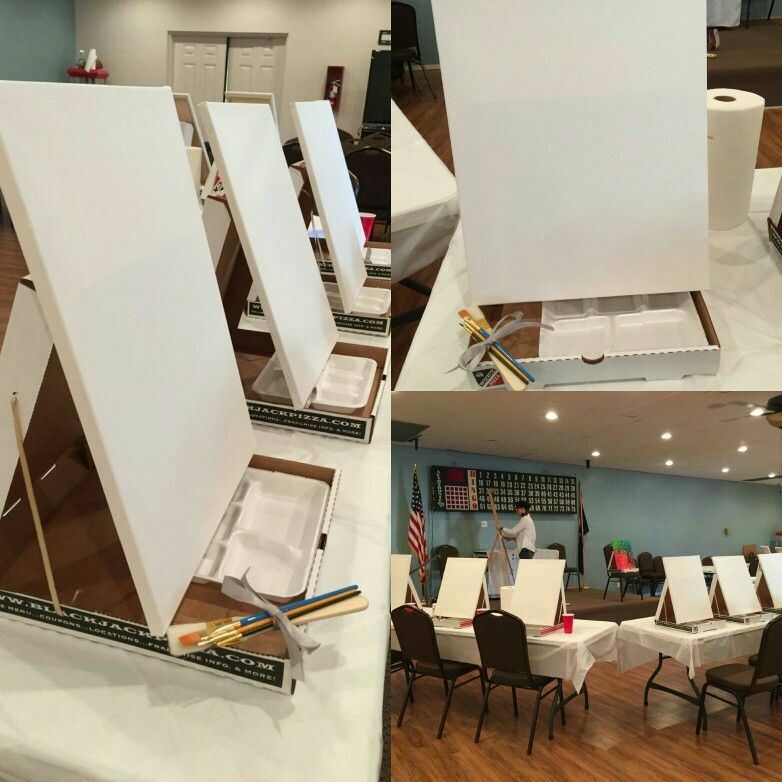 With some canvases, brushes, and paint, you are on your way to becoming Picassos! Easels can be expensive but you can make your own out of unused pizza boxes. Check out how here! 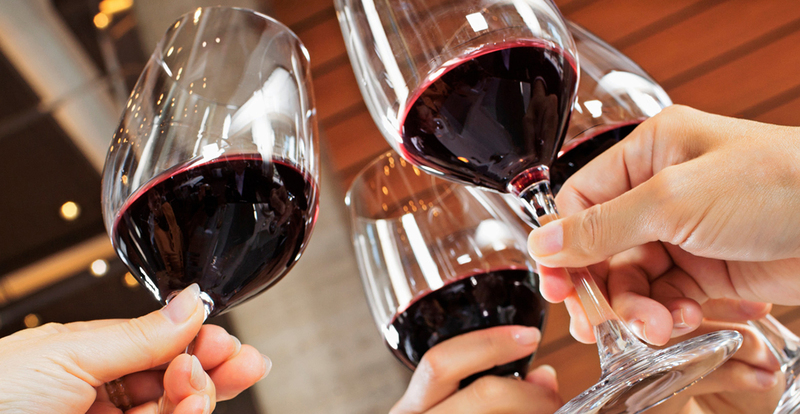 We may be biased, but we think the best party is a party centered around wine! Try out some of these parties with your friends! Join us for this fun weekend celebrating the great wines of SLO Wine Country. 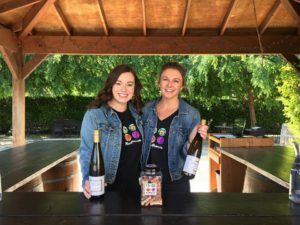 The 26th Annual Roll Out the Barrels celebration brings winemakers, locals, and visitors together that have one thing in common: the love for wine. Don’t miss out on this weekend full of great wine, great food, and great company! The weekend starts out in the heart of downtown San Luis. Fifty wineries and restaurants are coming together to share with the attendees. This night filled with food and wine pairings will be accompanied by live music from the Damon Castillo Band. There is no better way to kick start the Roll Out the Barrels Weekend than this! This year Claiborne & Churchill is hosting the Roll Out the Barrels Special Event! We are excited to have the Taste of the Coast Collaborative Winemaker Dinner at our winery also featuring Peloton Cellars, Stephen Ross, Tolosa, and Verdad. These wines will be paired with a five course prepared by Brian Collins, chef & owner of local favorite Ember Restaurant. A Claiborne & Churchill staff favorite! Join a C&C team member in our tasting/barrel room to test your palate with a fun and challenging blind tasting of aromatic white wine! Each guest is given a flight of five wines to compare and contrast the aromatics, color, mouthfeel, taste and finally determine which varietal is in each glass. Guest who get all five varietals correct win a free Claiborne & Churchill logo hat! Join C&C Winemaker, Coby Parker-Garcia, on our crush pad overlooking our Estate Vineyard for an educational blind tasting of our signature aromatic white wines. From wine to glass, Coby will walk you through the key attributes of the five highlighted varietals. Following the seminar, guests will enjoy a reception with fresh oysters in our garden with bistro seating and a picturesque view of the surrounding Edna Valley. Calling all Pinot lovers! Join us for a five year vertical tasting experience featuring library and current vintages plus a barrel sample of the 2015 vintage of our Twin Creeks Pinot Noir. 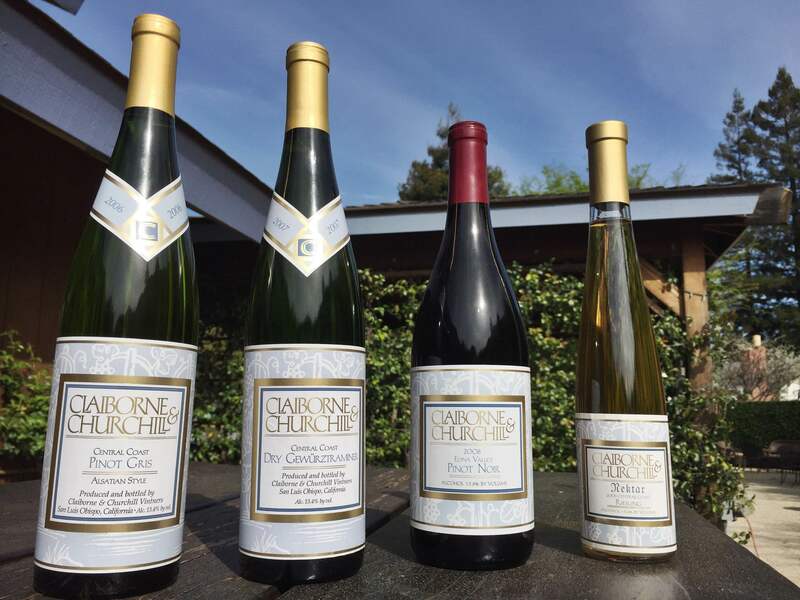 Winemaker Coby Parker-Garcia will discuss the growing conditions, different clones and the winemaking practices of these limited bottlings. Enjoy a Paella and Pinot reception in our garden with bistro seating and live music by Chris Beland. Don’t miss the opportunity to taste and purchase these wines including futures of the 205 vintage that’s still in barrel! The 2016 Roll Out the Barrels Weekend is sure to be a hit! SLO locals can use the promo code “GOLOCAL” to save $20! Not only is it a great time for locals but also visitors to the Central Coast! They are offering 20% off your Roll Out the Barrels ticket when you book your stay in SLO! Check out more information about it here and we’ll see you at Roll Out the Barrels 2016. Cheers! Spring is on its way, and that means one of our favorite events of the year is around the bend! 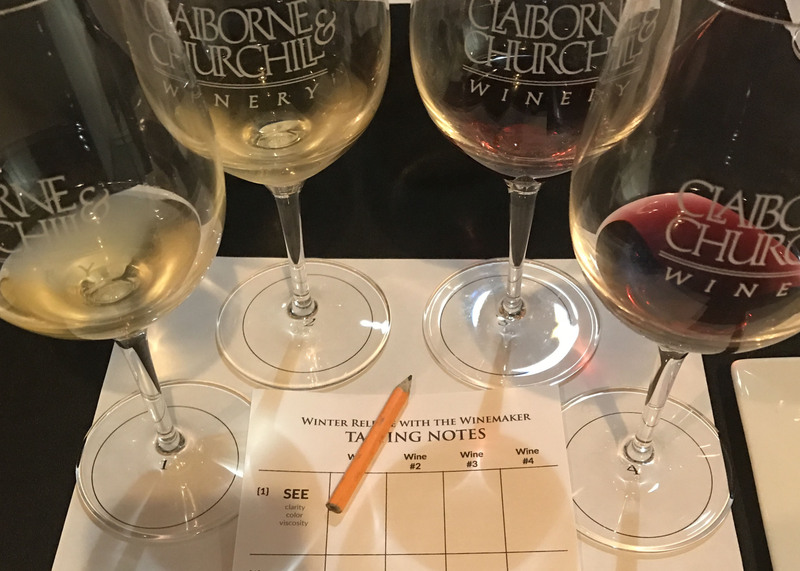 If you have never attended our annual Claiborne & Churchill Wine Library Weekend, you’re in for a treat. We’re pulling out our favorite vintages from the last decade – wines that have been waiting for their perfect moment to shine! Our Wine Library Winemaker Dinner on Friday, March 11 with Executive Chef Russell Thomas of Two Cooks Catering on Friday, March 11 is sold out, but we still have tickets left for our other events that weekend. We will be showcasing dozens of library wines over the course of the weekend. Below are a few of the wines we are most excited about! Contrary to the belief of many, certain white wines, when made and stored well, have remarkable aging potential. This is one reason why we are so excited to show off a 2006 Pinot Gris — one of the older wines we’ll be showcasing during the Library Grand Tasting! When this wine was released a decade ago, it was youthful and fresh with stone-fruit aromas and flavors. But as a good Pinot Gris matures, it takes on increasingly smokey and nutty nuances. This is a wine you’ll want to experience for yourself. If you’ve any spent time around Claiborne & Churchill, you know our deep love of Gewürtztraminer, a wine we usually serve in its youth. When young, Gewürz is aromatic, fresh, floral, and bright. In its later years, the complexity of the varietal is showcased, giving off a golden-hued color with spicy aromas, rich flavors of passion fruit, and a legendary long finish. Aged Gewürztraminer is one of the more unique tasting experiences we offer. If you’ve wondered about the aging potential of our Pinot Noir, the 2008 Classic Pinot is the proof you are looking for. This wine won plenty of awards in its early days, showcasing ample fruit and a deep garnet color while maintaining a restrained elegance. With 8 years of bottle age on it, the 2008 Classic is burgundy-brown with herbaceous aromas and flavors of cranberry skins, pomegranate, and brown sugar. The long finish is smooth and velvety. This is a Pinot in its prime! Are you on the fence about dessert wine? 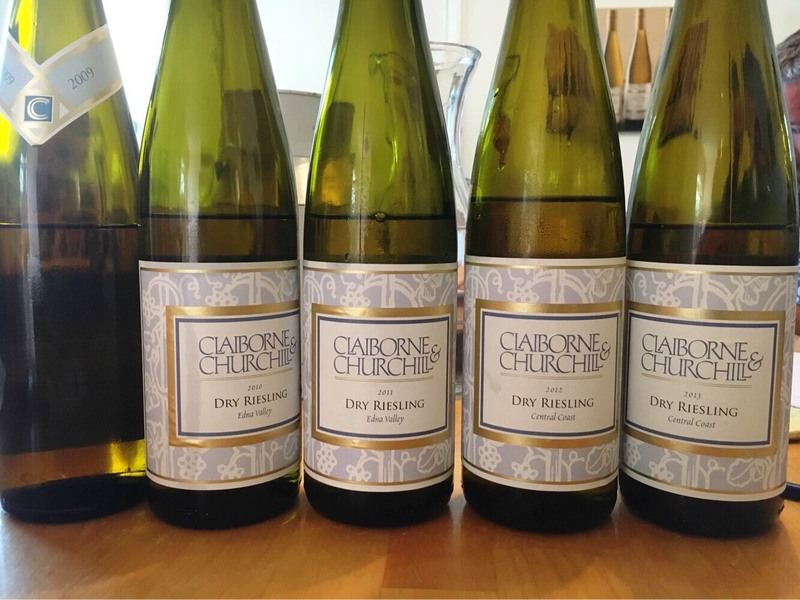 There is no better time than at our tasting to experience the remarkable, time-honored tradition of a fine, aged Late Harvest Riesling. Made in a style of an ice wine, our 2006 Nektar was pretty special at the time, and is even more exceptional after ten years of maturity in the bottle. Golden in color with a creamy and balanced mouthfeel, the 2006 Nektar has aromas of apple pie and flavors of cider and ripened peach. These wines are just a handful of the diverse offerings featured at our upcoming Wine Library Weekend. 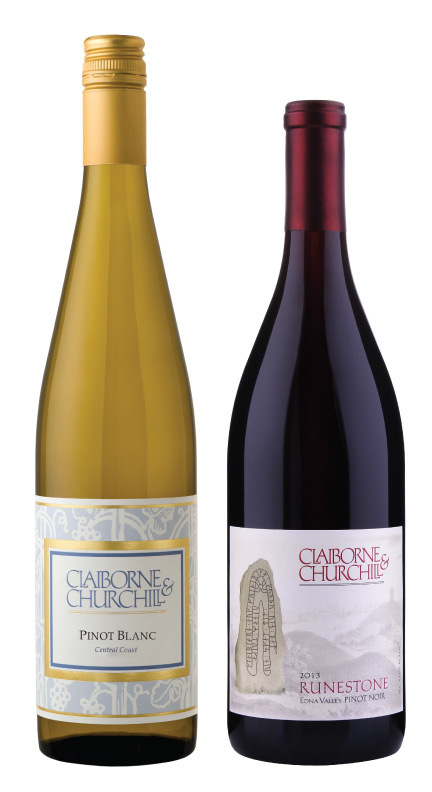 If you are interested in trying these wines and more, join us March 12-13 at one of our featured events! Ticket information below. Experience a tasting showcasing the best vintages of our library wines. You’ll have the opportunity to taste from among two dozen white and red wines which have been carefully cellared for several years. Love what you tried? You’ll also have the opportunity to purchase these wines and bring them home with you! Price $15 Club | $25 General Admission → For Tickets, please click here. “Wine down” on Sunday in our garden patio with a flight of library wines and a gourmet cheese plate featuring artisanal, European cheeses curated by Fromagerie Sophie. Each cheese has been specially selected to pair with these stellar library wines, poured at the peak of their aging potential. Don’t miss this special event! $15 Club | $20 General Admission → For Tickets, please click here. The Guest Cottage at Claiborne & Churchill is available for our Wine Library Weekend! 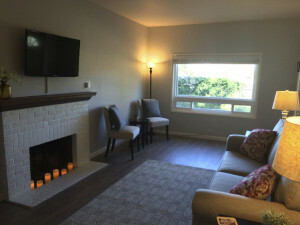 The Guest Cottage at Claiborne & Churchill Winery is conveniently located in the heart of wine country, just minutes from historic San Luis Obispo, the charming village of Arroyo Grande and the oceanfront town of Pismo Beach. This charming two bedroom one bath guest house offers picturesque vineyard and mountain views and is the perfect place to relax and “wine-down”. Please visit VRBO/Homeaway Listing #820452, or email elizabeth@claibornechurchill.com for rates and more information. Claiborne & Churchill Cellar Club members will be offered a special, discounted price on their stays. We can’t believe it’s already December! 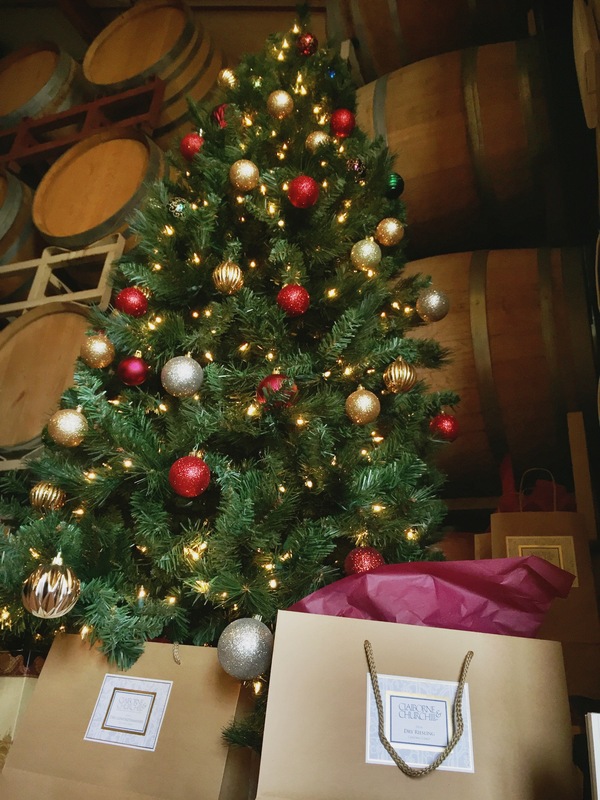 We’re decking the halls of our beautiful, newly remodeled tasting room, and to celebrate the holidays and share our new space with you, we are pleased to open our doors to friends, fans, new visitors, and our wine club with two festive events this week! Come raise your glass and enjoy the holidays with us! In the giving spirit? We’ll comp your tasting fee if you bring canned goods or an unwrapped, new toy for donation to Season of Hope! Join us in our newly renovated tasting room for a fun-filled evening of Holiday Shopping! 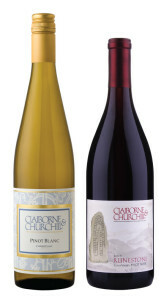 Enjoy a tasting of our aromatic white wines (Dry Riesling, Dry Gewürztraminer) and hand-crafted Pinot Noirs and Syrah. Enjoy our live holiday music, and take advantage of great holiday wine specials. We can even create custom gift boxes for your friends, family, and co-workers! Come hungry: The Grilled Cheese Incident food truck will be there, too, selling their delicious sandwiches! If you’re in our Cellar Club, we hope you’ll join us to pick up and taste our Holiday wine selection. Enjoy small bites paired with the featured wines, listed below! To RSVP to our Pick Up Party, click here. All members are complimentary; guest tickets available for purchase by members. A favorite around here! We couldn’t resist putting it in our Cellar Club Holiday Shipment. Grown by our friends and neighbors at Laetitia Vineyard, this delicious white wine is 100% SIP Certified. Pressed whole-cluster and then fermented in well-seasoned, neutral French oak barrels, this wine has body, richness, and bracing acidity. After years of pouring our beloved Runestone Pinot Noir under our original gold and burgundy label, we knew it was time for an update. We are so excited to unveil our beautifully repackaged 2013 Runestone Pinot Noir, available to both the C&C Cellar Club and the public. This stunning and well-priced 2013 Classic Pinot Noir is available to Cellar Club only for this shipment and this shipment alone! From all of us at Claiborne & Churchill Winery, we wish you a happy start to your holiday season, and we hope to see you this week! If you are interested in receiving more information about our Wine Club, please follow this link. Savor the Central Coast is Sunset Magazine’s annual wine and food festival, highlighting all that our unique region has to offer. 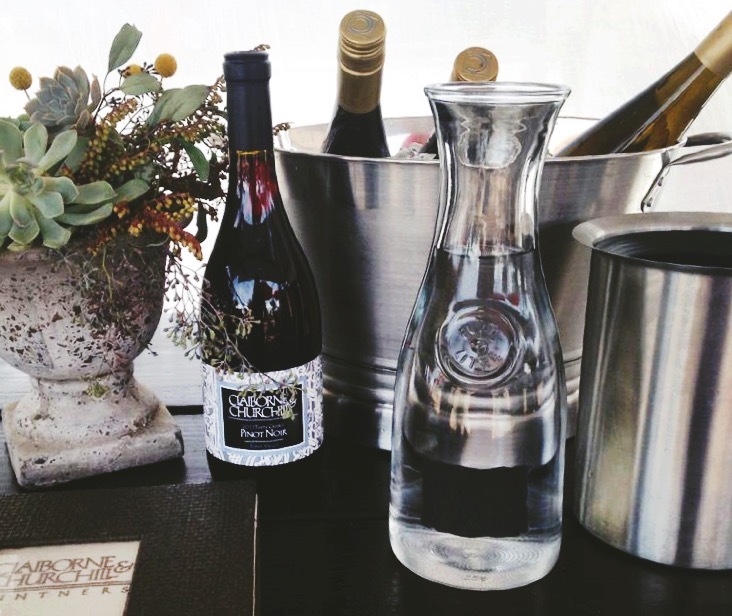 For its sixth year running, Savor came to the historic Santa Margarita Ranch this weekend, and the Claiborne & Churchill Winery family joined the fun! 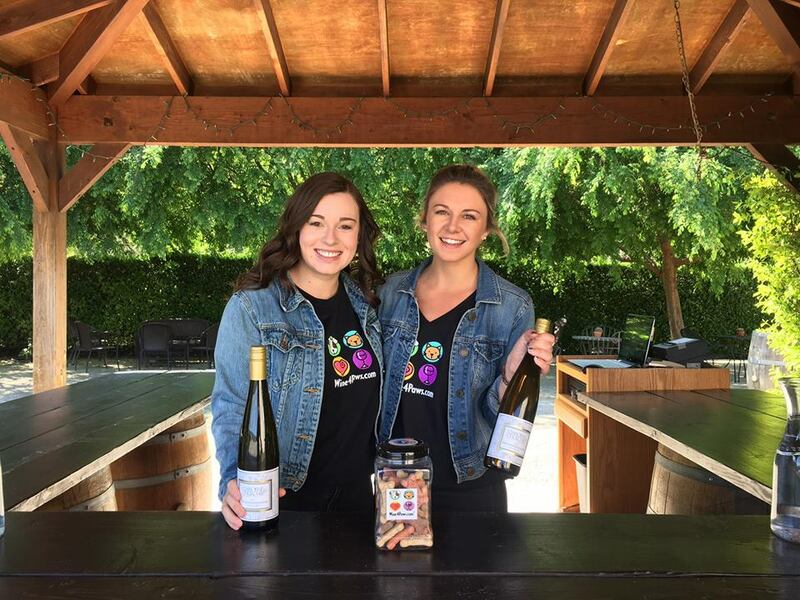 We were thrilled to introduce C&C wines to so many new people, both locals and out of town visitors, and we truly enjoyed the offerings of our neighboring wineries, breweries, artisans restaurants, and farmers. We couldn’t wait to share some of our favorite finds with you! We were lucky to have a booth next to Niven Family Wines and Chamisal, and our tasting area, with lots of bar space and seating, had a great turnout! 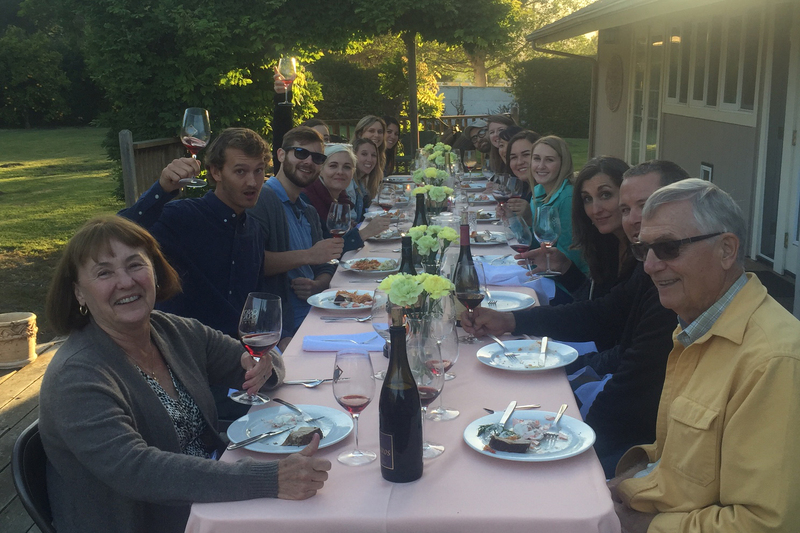 The guests seemed to really enjoy all the wines from all our Edna Valley producers. Bailayana wowed everyone with their delicious and creative wine cocktail made with their Albariño and splash of Pinot Noir! Among our winemaker Coby’s favorite libations of the weekend were the Pinot Noirs from Wrath, the Opal Saison/Farmhouse Ale from Firestone Reserve, and the spirits from Krobar Craft Distillery, a new producer in Paso Robles focusing on Gin, Neutral Brandy, and Rye Whiskey. 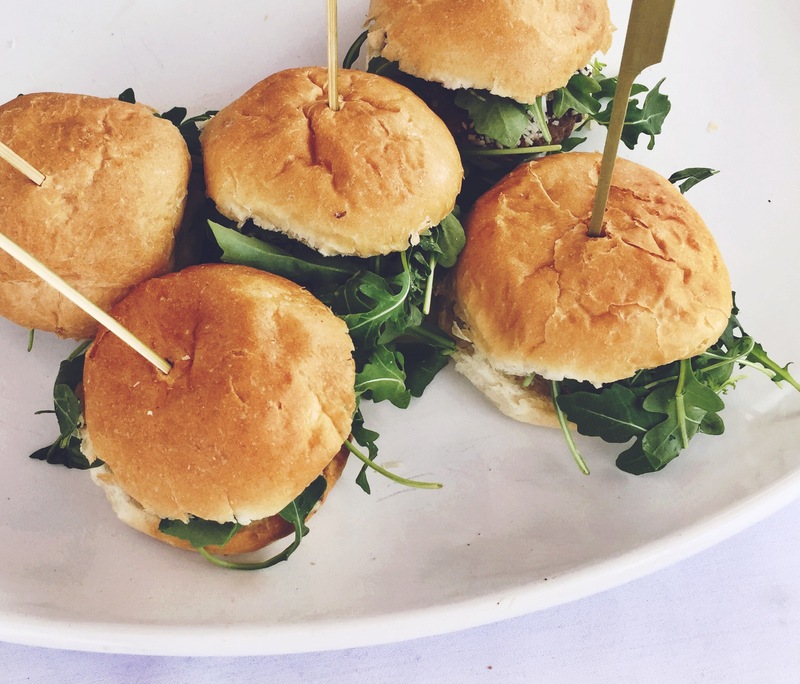 There were incredible gastronomic offerings at this event, but it goes without saying that Thomas Hill Organics from Paso Robles stole the show with their sliders made with ground lamb, pecorino Romano, organic arugula, house-made aioli, and perfect little buns from La Migliore bakery. Our manager, Angela, is notorious for returning home from events empty-handed. But this weekend, she couldn’t resist buying two prints from Teréz Tyni, local landscape painter and co-owner of Upper Crust Trattoria, a great local Italian Restaurant that has featured Claiborne wines for many years. Also worth a mention was a local jewelry producer, Olive & Poppy. Our tasting room attendant, Kate, fell in love with their ultra-hip barrel stave bangles. She talked about them all day, and then finally snagged one before the event ended. 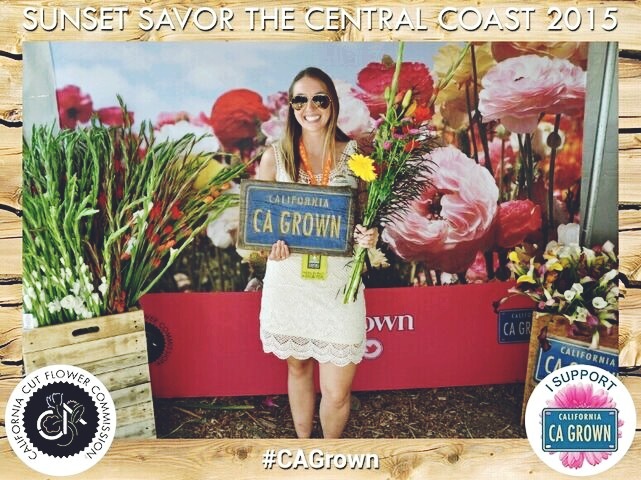 Angela and the girls loved California Grown’s demonstration stage and flower booth, where guests could pick stems and foliage to make beautiful handmade arrangements. The California Fig Advisory Board’s kiosk was also a crowd favorite. 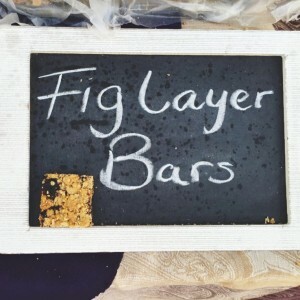 There, they promoted fig cultivation in California while tempting guests with their hearty fig layer bars. 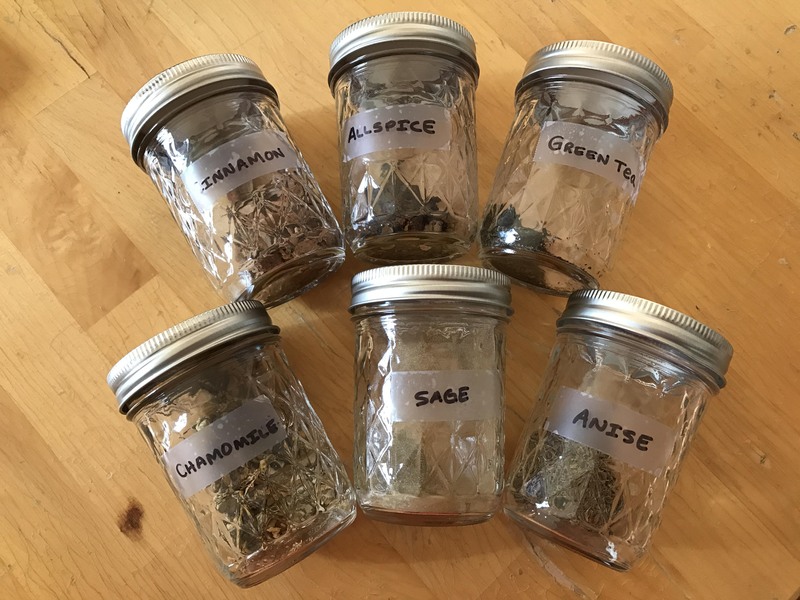 Angela grabbed the recipe to share with you, included below. 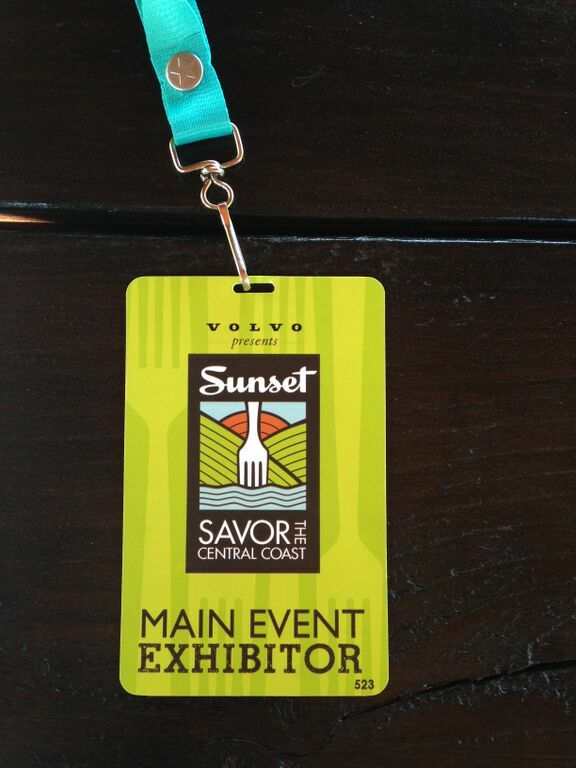 Each year, Savor the Central Coast gets better and better! We couldn’t be more proud to be a part of this region, and we are grateful that Sunset has taken notice of what we already have known for a long time: that the Central Coast of California is simply the best on place on earth to live, eat, farm, and make wine. Enjoy the recipe below! For filling, combine figs, sugar, walnuts and water in a small saucepan. Cook over medium heat for 15 minutes or until thickened, stirring frequently. Set aside to cool. For crust and topping, in mixing bowl, cream butter with sugar until light and fluffy. Add salt and vanilla; beat together. Add oats and flour. Mix until blended. Press half of flour mixture evenly in bottom of lightly greased, shallow 9 by 13 inch pan. Spread filling evenly over all. Add water to remaining flour mixture and toss lightly until ball forms and cleans sides of bowl. Turn onto light floured surface and roll into rectangle to fit on top of pan and arrange on top of filling, trimming edges to fit. Bake at 350º for 25 to 30 minutes or until lightly browned. Cool in pan. Cut 4 by 12 into 48 bars. Serve warm with vanilla ice cream and drizzle with chocolate syrup. Were you at Savor the Central Coast this year? If you visited our booth, tag @claiborneandchurchill in your Instagram photos!